White collar crime is very serious and comes in a variety of forms. It's a different type of crime than most people are used to and often committed by hard-working professionals becoming embroiled in activities that cross the line from legal to illegal. If you're under investigation or have been arrested for a white-collar crime, you need an experienced criminal defense lawyer in Jacksonville on your side. 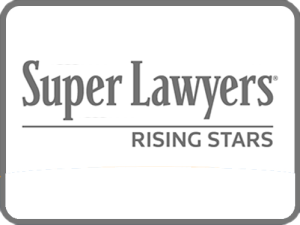 An attorney that understands the legal process for white collar crimes and has the skills to use the media, publicity and non-legal venues properly, will ensure the right defense for this type of crime. At Tassone, Dreicer & Hill, we provide years of experience defending clients accused of white collar crimes. Our legal team understands the process and how to use the media to tell your story. Call us today and let our unique skills help you get your life back to normal. Several types of crimes are found under the category of white collar. Most of these crimes will be considered felonies and often include a financial element. The charges may be filed in Federal or State Court. Often, white collar crimes include fraud, deception or a violation of a relationship involving fiduciary responsibility or trust. When you've been charged with a white collar crime, make sure you hire the very best Jacksonville criminal defense attorney. If you're convicted of a white-collar crime, the penalties can be rather severe. You may be facing many years in prison and large fines. Restitution could be a part of the penalty, as well, and often the fines can total millions of dollars. You may have your property and assets seized, as well. Typically, individuals accused of a white-collar crime are aware of the investigation before they are arrested or any formal charges have been filed. 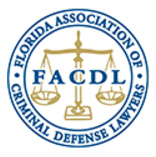 As soon as you gain knowledge of the investigation, it's critical to contact an experienced criminal defense lawyer in Jacksonville, Florida. A skilled attorney has many avenues they can explore for your defense. The sooner they can get to work on your case, the better chance of finding a viable defense. In some cases, the accused may have been coerced or they may have been a victim of entrapment. A lack of intent may not be enough to have the charges complete dismissed, but it could help to limit your sentence and fines. When you find out you're being investigated for a white collar crime or you've been arrested, make sure to call The Law Offices of Tassone, Dreicer & Hill immediately. We provide a full legal team with knowledgeable attorneys ready to defend you. Our team will work very hard to ensure the best results for your case while minimizing the impact any criminal charges will have on your life. Contact The Law Offices of Tassone, Dreicer & Hill today or call us at 904-396-3344. and schedule a free consultation with one of our highly skilled Jacksonville criminal defense attorneys.